Montage Theatre Arts offer opportunities throughout the year – to find out more, click the header below which applies to you! Child Protection & Safeguarding Policy. Would you like to be involved in the Community Arts sector? Montage Theatre Arts are seeking enthusiastic and motivated voluntary dance, drama and singing assistants to help facilitate courses throughout the year. Montage Theatre Arts (MTA) is a charity based in Deptford, South-East London. It is Lewisham’s only revenue-funded arts organisation in the Brockley Ward. The company runs 33 weekly classes plus holiday courses for young people and the elderly from the local community in the performing arts with a respected track record for offering excellent and vital opportunities. MTA helps people from a highly deprived area to acquire techniques and skills, develop confidence and social ability, whilst breaking down barriers between cultural groups and the generations. 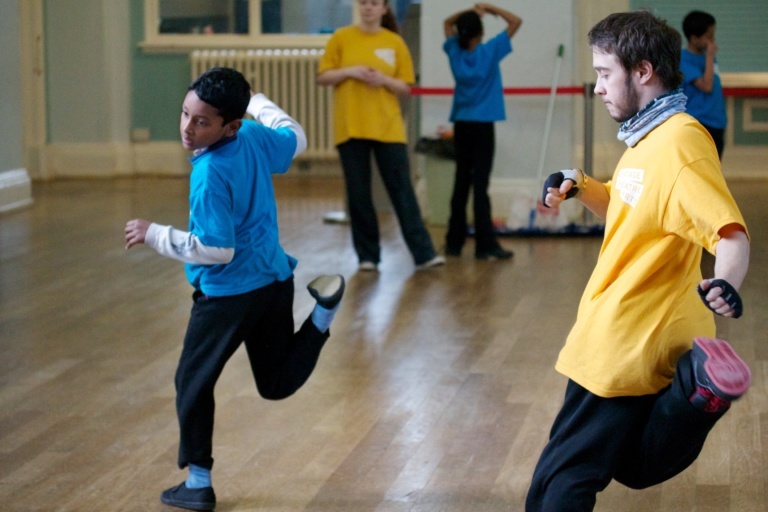 This is an exciting and hands-on role which has inspired and enabled previous volunteers to pursue further study and careers in teaching and facilitating dance, drama and music. The role of classroom volunteers is to support the teacher by assisting in the facilitation of both classes and holiday programmes. On performance days, assistance will be needed with costume, hair, make-up and stage management. If you would like to be considered for a cover teaching position, please email a covering letter and CV to gm@montagetheatre.com. MTA are not currently recruiting. Montage Theatre Arts have historically offered Arts Management and Business Apprenticeships in partnership with Lewisham Council and the Creative Society. We can provide week-long work experience placements for students in both years 10 & 12. We have also provided longer-term industry placements for university students from various institutions including the Central School of Speech and Drama and Goldsmiths, University of London. We are currently not seeking any apprentices. If you would like to conduct your work experience or placement with Montage Theatre Arts, please apply to ypm@montagetheatre.com.